This fairy tale is a perfect gift for Christmas. 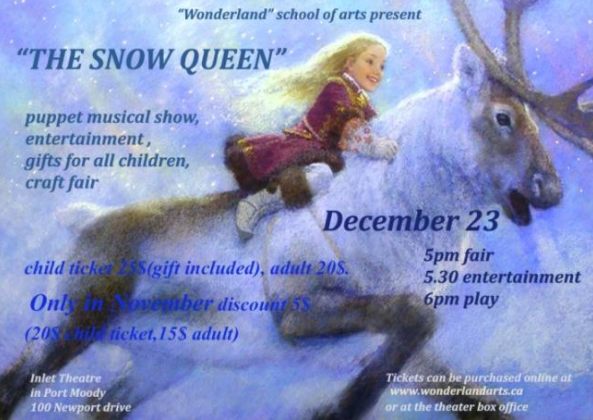 “The Snow Queen” is a puppet musical play organized by Wonderland School of Arts. A spectacular show with the participation of the best students at the Inlet Theatre in Port Moody.